On this page, we record all the happenings and changes in Occold that have occurred during 2019 which will form the basis of an Annual Report. Such reports are archived at Suffolk Record Office for the benefit of future generations. 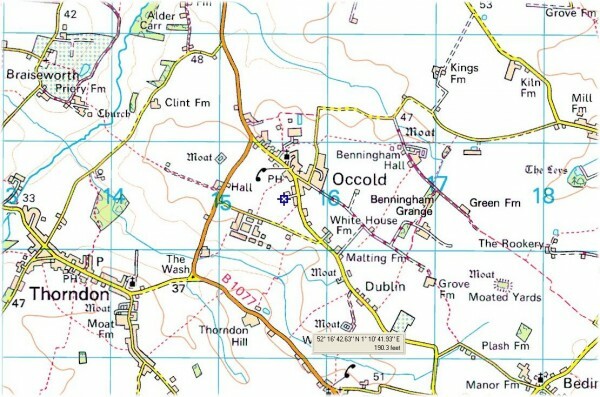 Occold is a small, rural village located in Suffolk at latitude 52.1748 deg N, longitude 1.0980 deg E and is 180ft (55m) AMSL. OS map coordinates TM 157 707. The population is around 520 (395 on the electoral roll) in around 190 hoouseholds. If you or your organisation have achieved something which is not recorded here, it is because I do not know about it!! Don't hide your light under a bushel - tell villagerecorder@occold.com! Funds raised for local and national organisations. If you have raised money for a good cause and you are not on this list, please let me know - villagerecorder@occold.com.